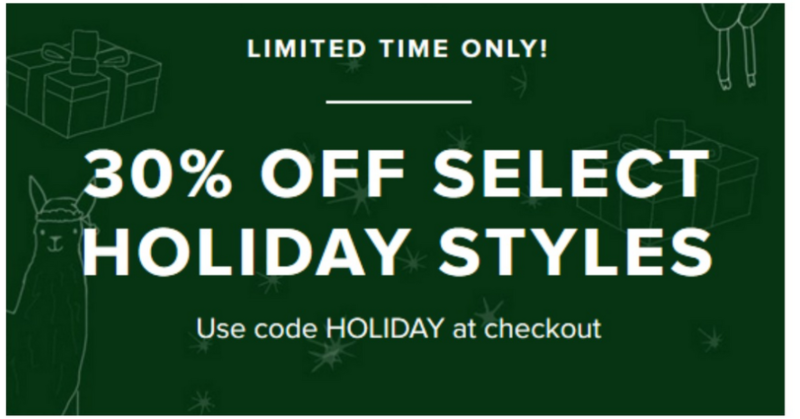 Head to Toms where you can get 30% off select holiday styles with coupon code HOLIDAY at checkout. You can also get free shipping, no coupon code needed. Offer valid through 12/14. Free Shipping on orders $64 or more.